The Concise Oxford Dictionary (2006) defines cryptography as the art of writing or solving codes. This definition may be historically accurate, but it does not capture the essence of modern cryptography. First, it focuses solely on the problem of secret communication. This is evidenced by the fact that the definition specifies “codes”, elsewhere defined as “a system of prearranged signals, especially used to ensure secrecy in transmitting messages”. Second, the definition refers to cryptography as an art form. Indeed, until the 20th century (and arguably until late in that century), cryptography was an art. Constructing good codes, or breaking existing ones, relied on creativity and personal skill. There was very little theory that could be relied upon and there was not even a well-defined notion of what constitutes a good code. In the late 20th century, this picture of cryptography radically changed. A rich theory emerged, enabling the rigorous study of cryptography as a sci- ence. Furthermore, the field of cryptography now encompasses much more than secret communication. For example, it deals with the problems of mes- sage authentication, digital signatures, protocols for exchanging secret keys, authentication protocols, electronic auctions and elections, digital cash and more. In fact, modern cryptography can be said to be concerned with problems that may arise in any distributed computation that may come under internal or external attack. Without attempting to provide a perfect definition of modern cryptography, we would say that it is the scientific study of techniques for securing digital information, transactions, and distributed computations. Another very important difference between classical cryptography (say, be- fore the 1980s) and modern cryptography relates to who uses it. Historically, the major consumers of cryptography were military and intelligence organizations. Today, however, cryptography is everywhere! Security mechanisms that rely on cryptography are an integral part of almost any computer system. Users (often unknowingly) rely on cryptography every time they access a secured website. Cryptographic methods are used to enforce access control in multi user operating systems, and to prevent thieves from extracting trade secrets from stolen laptops. Software protection methods employ encryption, authentication, and other tools to prevent copying. The list goes on and on. In short, cryptography has gone from an art form that dealt with secret communication for the military to a science that helps to secure systems for ordinary people all across the globe. 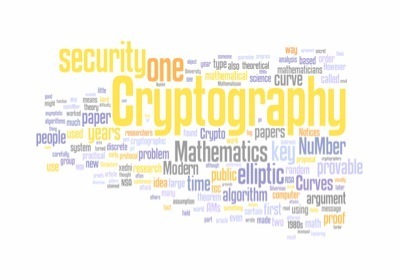 This also means that cryptography is becoming a more and more central topic within computer science.